With the launch of wool house this week (13th-24th March) at Somerset House, London, we felt it was only fitting to blog about the fantastic raw material that we use to cover our furniture. The famous 100% wool Harris Tweed. Find out why wool is worth bleeting about! Wool is a natural fibre. Sheep produce a new fleece annually, making wool a renewable fibre source. While we at Blackhouse are proud to support and invest in the wool industry, playing our part to help grow and protect such a sustainable resource, more investment is needed to secure the long term future of this fantastic resource. Wool is much safer than most synthetics and cotton fabrics, as it has a naturally high UV protection. This means that fabrics made entirely from wool (like Harris Tweed) do not readily catch fire. Even if it were to catch light, wool does not release noxious fumes and burns very slowly. As a natural and renewable material, wool is naturally biodegradable. 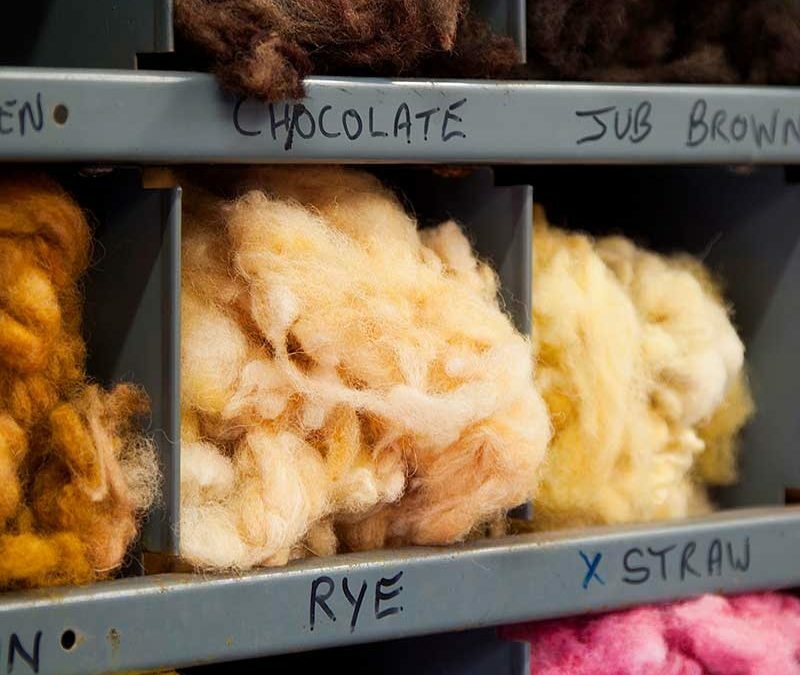 Compared to other fabrics, wool will biodegrade in soil, releasing valuable nutrients. Wool has a large capacity to absorb moisture making it extremely breathable. This enables wool-covered furnishings to absorb any moisture in the air, thus reducing humidity in the room and making for cleaner internal air. A wool fibre can be bent 20,000 times without breaking and still have the power to return to its natural shape. The natural elasticity of wool enables it to resist flattening, so top quality wool products stay looking good for longer. Wool has a natural protective layer which prevents stains from being absorbed and deters dust. This means wool is naturally stain and static resistant. Using wool to upholster furniture is practical and easy to maintain. Did you also know that wool is the chosen fabric of 2013?! This exciting news combined with Blackhouse‘s range of over 15 Harris Tweed designs, means despite its popular use, you can still have a unique addition to your home and lifestyle. We have traditional green and red check patterns, more modern bold and vibrant colours, as well as a whole host of herringbone designs! Plus you could always accessorise with a myriad of complimentary scatter cushions.